Nissan has a reputation as a steadfast, innovative Japanese auto manufacturer. 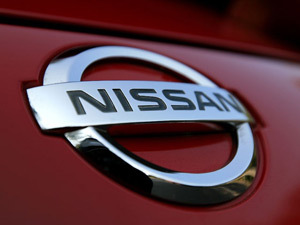 Your Nissan vehicle is durable and long-lasting, providing years of trouble-free motoring. Sometimes there are unforeseen problems that creep up and prevent you from enjoying your Nissan to its fullest. When those times comes, Precision Automotive Service is there to put you back on the road quickly and affordably. We repair your Nissan car, SUV, or truck. Old or new, with warranty or without, your Nissan is welcome! All Nissan vehicle receive only the highest quality Nissan Original Equipment or Nissan-approved aftermarket parts and fluids. Precision Automotive employs the finest ASE-Certified technicians to address all the concerns you may have on your Nissan vehicle. Whether you drive a 370Z, an XTerra, Pathfinder, or Sentra, we've got the experience and training to completely and quickly repair your vehicle. Your Nissan vehicle maintenance varies from model to model. The service experts at Precision Automotive Service know what your vehicle requires to keep it running smoothly and efficiently. See the automotive repair experts at Precision Automotive Service in Sacramento to keep motoring uninterrupted. Your appointment is only a click or phone call away! Call us or use the online appointment request form to book your appointment today.